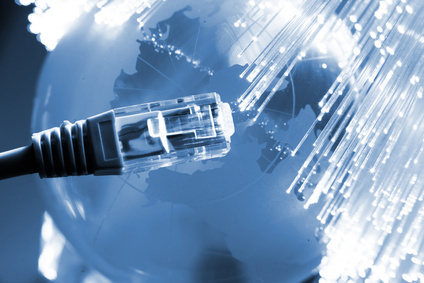 Internet Connectivity | Netservers Ltd. In order to provide a nationwide service, we partner with a number of national telecommunications companies. These companies include both BT and Virgin Media. These partnerships enable us to extend our reach, but also gives us room to be innovative and produce our own unique service offering. Netservers' in-house developers have created an innovative routing platform that gives us a strong competitive advantage over our rivals. This platform has fully integrated support for private routing domains. This enables us to create per-customer private routing domains without having to purchase additional hardware or software licenses. Consequently, our set-up times are faster and our costs are lower than the competition. This platform also gives unrivalled stability and rich diagnostic information that guarantees our customers the highest levels of service. Many of our customers take a mixture of Leased line, ADSL, SDSL and managed VPN service, all hosted on this flexible and unique platform. We have integrated FireRack into our ADSL and SDSL platform to offer flexible ISP-side stateful firewalling as an option on all connections. Customers are able to manage their own firewall policy on our customer portal via FireRack's intuitive rule-editor. Flood protection policies can be configured allowing you to protect your ADSL bandwidth from being wasted by DoS attacks and other unsolicited traffic. All our customers get as many real (public), statically-assigned IPv4 addresses as they require * as standard. We do not operate a shared dynamic address pool as many ISPs do or impose arbitrary restrictions. Additionally, we can provide native IPv6 addresses which run in parallel with your IPv4, at no extra charge. This is known as 'dual-stack' configuration. There is a global shortage of IPv4 addresses and the central registry will have run out by Q1 2011. By the end of 2011, IPv6 only networks will have emerged. A dual-stack connection from Netservers will future proof your business by allowing you to interact with both the old IPv4 only and new IPv6 only networks. Please visit the 6UK site for more information on the business case for IPv6. In addition to delivering these services directly to our business customers, we also have a very active reseller network. We work very closely with our resellers to enable them to deliver high quality connectivity solutions to their customers. Our network management platform can be white-labelled and re-branded by our resellers.